SpaceX CEO Elon Musk’s announcement last week that the company would build as well as launch rockets in the Rio Grande Valley opens up new opportunities for the region. With a little luck and a lot of planning and work, the Valley might be able to use this development to establish itself as a major aerospace center. 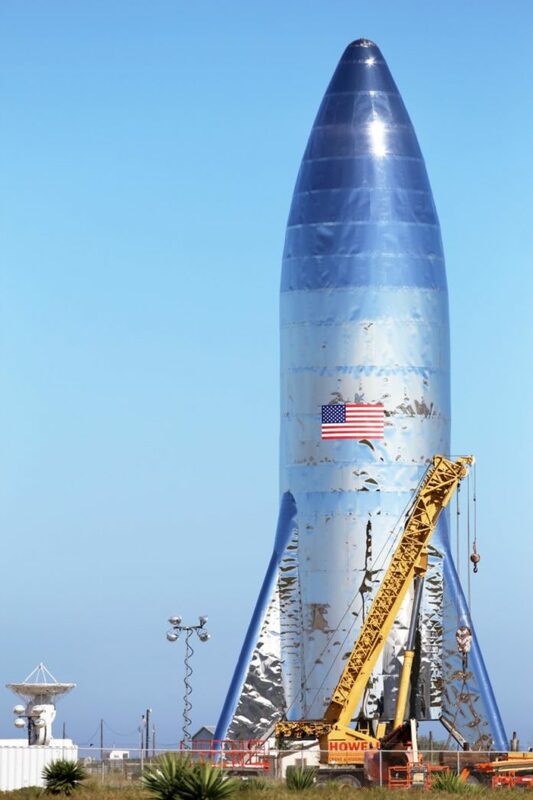 Through Twitter and a news release issued Wednesday, Musk announced that the manufacture of SpaceX’s Starship rocket is being moved from the Port of Los Angeles to South Texas. The announcement follows the recent successful assembly of a Starship prototype at the company’s launch facility at Boca Chica Beach. This development obviously creates new opportunities for the Valley. An assembly plant would be welcome in a region where unemployment exceeds the state and national average. It also would bring the area more skilled jobs, which are in short supply here. Musk already has reached out to local educational institutions, including area high schools, about creating programs that will give students the kinds of skills that could help them secure jobs with SpaceX. An assembly plant would further expand such job opportunities. Such opportunities already are growing; SpaceX originally suggested that the Boca Chica site might be a secondary facility, specializing in unmanned launches to deploy satellites or send supplies to the International Space Station. In recent years, however, announced plans have grown to include the launch of the company’s largest rockets, raising hopes that eventually, the Rio Grande Valley might provide a springboard for manned missions to Mars, one of Musk’s long-term goals. And SpaceX isn’t the only game in town. United Launch Alliance, which builds the Atlas and Delta lines of rockets, already has an assembly plant in Harlingen. But assembly is only one of the space-related career tracks that our schools and colleges can feed. Experts are needed to design both the rockets and their missions; intricate calculations are needed to plan successful missions, with launch timing and trajectories taking into account the Earth’s position relative to a rocket’s destination. Research determines many missions, telling the space teams where to send the rockets and why, and observation and tracking are constant throughout any mission. Such high-tech work could be folded into the University of Texas Rio Grande Valley’s already strong engineering school. UTRGV has one of the top gravitational wave astronomy programs in the country if not the world; the local program has been among the first in the world to detect colliding stars, and in 2015 it contributed research to the global Laser Interferometer Gravitational-Wave Observatory that helped detect gravitational waves from merging black holes — research for which it won the 2017 Nobel Prize in Physics. Successful academic programs, coupled with an expanding aerospace industry, can help attract more space-related companies. If our local institutions are ready to partner with those companies and supply them with qualified workers, there’s no telling how high our opportunities could go.